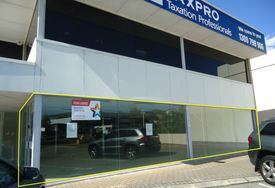 233sqm Street Fronting Showroom/Warehouse with long lease available! Features include; Roller door access, rear yard and easy front parking with showroom frontage. This prime location boasts close proximity access to Wanneroo Rd, Erindale Rd, Mitchell Fwy and Reid Hwy. 225sqm BALCATTA ROAD FRON.. Price: Sale: $590,000 | Lease $3.. Vacant Land - Hardstand -.. Price: $69,400 per annum plus Ou..
745sqm Office/Warehouse.. Price: PRICE DROP + GENEROUS INC.. DRAMATIC RENT REDUCTION!!.. Price: $58,520 pa + gst + outgoi..
HIGH VISIBILITY - Office .. Price: $55,000 pa + Outgoings + ..